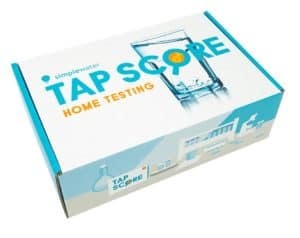 Best Home Water Test Kit - Don't Take It For Granted! Most of us take it for granted that clean water comes out of the taps. However, if the Flint, Michigan crisis taught us anything, it is that our water supply is much more vulnerable than we thought. A simple way that you can ensure your family’s safety is by testing your home water. Lab Kits: Take samples of your water and send them away to a lab for testing. These kits are far more accurate and in-depth. Home Kits: These are DIY kits that do basic tests only. Firstly lets take a look at some of the better kits on the market and then we’ll go into why you might want to test your home water supply. 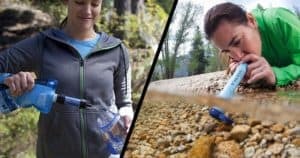 There are a lot of home water testing kits you can buy. These vary drastically in what they offer. The cheap water tests will only test for a few potential contaminants. The best home water tests can detect hundreds of contaminants and give you exact levels. 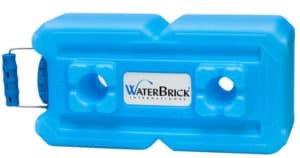 This is a newer home water testing kit. It was designed to give consumers detailed information that usually only scientists would have access to. If you want real information beyond what a standard Consumer Confidence Report provides, this is the water test for you. Tap Score is incredibly easy to use: just fill the two provided vials with water. Then you mail these to a lab. There are different options for tests. Even the “Essential” test looks for 40 parameters. The “Advanced” tests look for 127 parameters. You can pay for additional add-ons, like for specific types of bacteria testing. One nice thing about Tap Score is that they give you information about steps to take in event that your water is contaminated. You’ll get unbiased advice on ways to make your water safe to drink. This is one of the most popular drinking water tests available, mostly because it is incredibly cheap. It only checks for 7 parameters (bacteria, lead, pesticides, nitrates/nitrites, chlorine, hardness, and pH). However, these are some of the most important contaminants to test for, especially if you have well water. Just like with Test Assured, this kit will only test water from one source. You’ll need to buy multiple kits if you want to test water from multiple sources. This test isn’t nearly as nearly as good as the one offered by Tap Score. However, it is more affordable and gives you results almost immediately. The only results you have to wait for are the bacteria tests, which take 48 hours. Test Assured will test for: Lead, bacteria, pesticides, iron, coopper, alkalinity, pH, hardness, chlorine, nitrates, nitrites, and TDS. Note that the kit only tests one water sample. 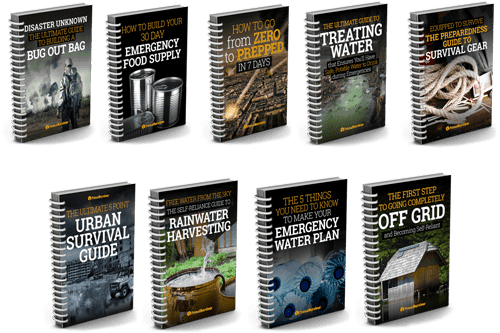 If you want to test water from multiple sources, then you’ll need to buy more than one kit. Why Test Your Home Water? Even if you completely trust the municipality to deliver safe water, there are still ways that your water could become tainted. Contaminants could come from old pipes or fixtures, not just from the water source. According to a Penn State report, approximately 50% of private water systems fail at least one drinking water standard. This is especially concerning because about half of private water systems have never even been tested. That means many people are consuming harmful contaminants without even knowing. 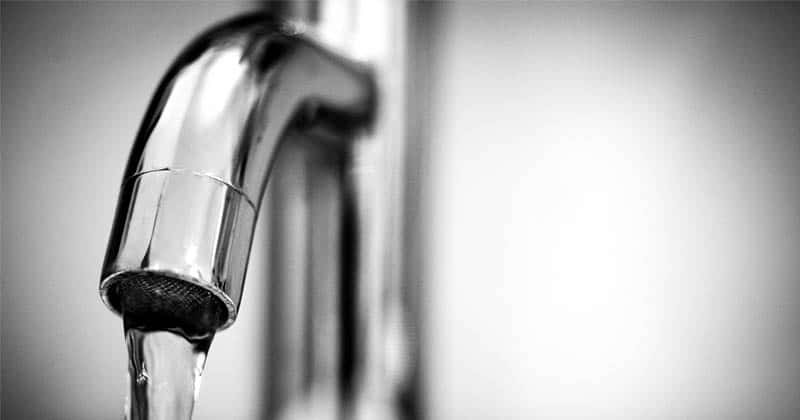 One of the biggest issues with municipal water systems is lead contamination. Even though lead pipes were banned in 1986, there are still upwards of 10 million homes in the USA with lead pipes. Even newer copper pipes can cause water contamination, so newer homes aren’t immune to water problems either. What about contaminants from the source water itself? Any water system that serves at least 25 people must meet federal Safe Drinking Water Act standards. The water must be tested and consumers must be provided with a Consumer Confidence Report. And that doesn’t include all of the chemicals which have yet to be studied. Another failure of municipal water reports is that they only give you a measurement of total solids in the water. The test won’t tell you which solids are present and their amounts. Despite these downfalls, CCR reports are still a valuable tool in evaluating your water. I don’t want to get into a diatribe about whether the government can be trusted. However, there are plenty of incidences where the municipal water has been dangerously tainted – but yet the local government failed to inform consumers. The crisis in Flint, Michigan brought the water issue to national attention in 2014. Residents were drinking water that they assumed was safe. Yet the water was contaminated with lead, chemicals, E. coli, and Legionnaires’ disease. Sebring, Ohio: In 2015, tests found unsafe levels of lead in the water. It took 5 months before the public was notified of the risk. Washington, D.C.: In 2001, levels of lead in water rose to 20x the safe limit. Residents were not informed until 3 years later. Durham and Greenville, NC: In 2006, residents weren’t notified of lead contamination until 6 months after the fact. Brady, Texas: Radium levels are 9x higher than limits. People with municipal water still need to test their drinking water. Even if the government can be trusted, home testing kits can pick up contaminants that the municipality doesn’t test for. I personally believe that everyone should test their home water at least once. Information is power. Once you know what is in your tap water, you can make smarter choices – like whether to invest in a home water purifier. In some cases, home water testing is not optional. Here are some of the scenarios of when you should test the water. Total coliform bacteria and E. coli: Once per year. Seasonally if you have a low water table. Nitrates: Once per year. Seasonally if you have a low water table. pH and total dissolved solids: Every three years. With the exception of places like Flint, most municipalities do a good job of delivering safe drinking water. You probably don’t want to spend a lot of money every year to test the tap water. You Are Going to Install a Home Water Purifier: Do a detailed home water test. The information will help you choose the right water purifier for your tap water. You’ve Never Tested the Water: In order to hold the municipality accountable and avoid health problems, I believe that everyone should test their tap water at least once. Pregnancy/New Baby: Pregnancy women and their babies are much more sensitive to contaminants in water. Test the water during early pregnancy, when the newborn comes home, and again before the baby turns 6 months. A Natural Disaster Has Recently Occurred: During a natural disaster, a “boil alert” will probably be issued. The boil alert will go away once the water is safe again to drink. However, as an extra precaution, I’d do a home water test. Especially after flooding or hurricanes, many chemicals can get into the municipal water supply. You might want to keep a water test kit in with your emergency supplies for this reason! Sickness and Compromised Immune System: People with illnesses like cancer and the elderly should test their water. They are more susceptible to contaminants. Recurring Gastrointestinal Problems: These could be caused by contaminants. Even “safe” levels of certain contaminants might cause you problems. The scary thing is that most water contaminants have absolutely no signs. Even the incredibly hazardous ones might not cause symptoms until years later. This is why it is essential to test your home water. Some contaminants will cause signs though. If you experience any of these signs of a water problem, immediately have the water tested. There are a lot of different home water tests available. Some will test for just a few potential contaminants. Others will test for hundreds of contaminants. Acidity (pH): Acidic water causes you to absorb excessive amounts of lead, mercury, copper, and zinc. Arsenic: Test if you live near mines, ore smelting, or industry. Test even if these sites are no longer in use! Cadmium: Cadmium causes severe kidney damage and cancer. Test for this if you live in Arizona or Utah, or if you live near a refinery or smelting plant. Chlorine: Chlorine is often added to drinking water to purify it. However, it can cause allergies and asthma in kids. It also makes water taste and smell bad. Copper: Copper can cause GI problems and may cause Alzheimer’s, heart disease, or diabetes. Test if you have copper pipes. 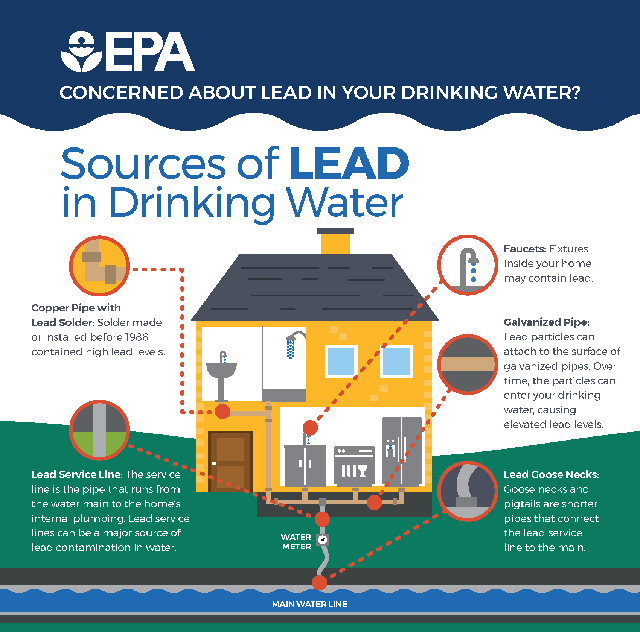 Lead: Because of how serious lead contamination is, I believe that everyone should test for lead – even if they don’t have lead pipes in their homes. Nitrates and Nitrites: These commonly get into ground water from fertilizer runoff. It is especially important to test for these if you are pregnant or have an infant. Nitrates can cause “baby blue syndrome” and developmental disorders. 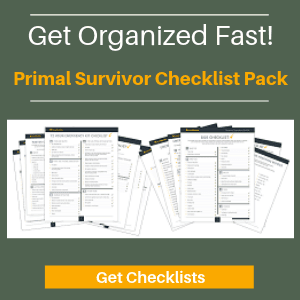 Using home water kits is pretty easy. You usually just drop some water on little test strips. After a few minutes, you see what color the strips have turned and compare it against a key. You won’t get exact amounts. Rather, the test will show whether the levels are “safe” or not. With the better-quality water tests, you’ll probably need to fill up vials with water. The vials are then sent to a lab for testing. Only a lab can give you precise amounts of each contaminant. Note that chlorine testing is rarely sent to a lab. 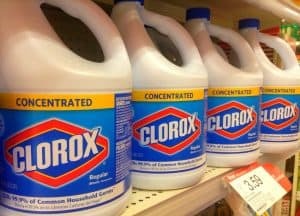 Since chlorine breaks down so quickly, it would be difficult to send off to a lab. Luckily, chlorine test strips are pretty reliable. Decide whether to collect at the tap or spigot: If you already have a water filtration system in place, you’ll need to collect at the source. 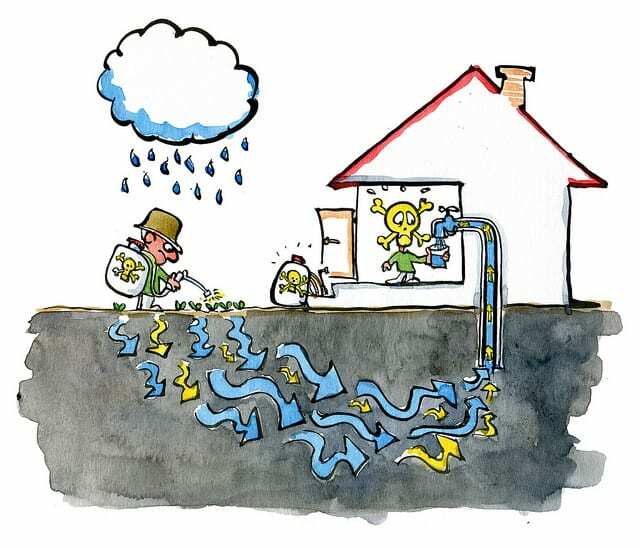 You may also want to collect at the spigot if you aren’t sure if contamination is from the source or your home’s pipes. Make sure your bottles are clean. They should be rinsed out with the testing water several times. Follow instructions exactly: You may be required, for example, to not use a certain faucet for 12+ hours before taking a sample from it. Have you tested your water? What results did you get? Let us know in the comments!